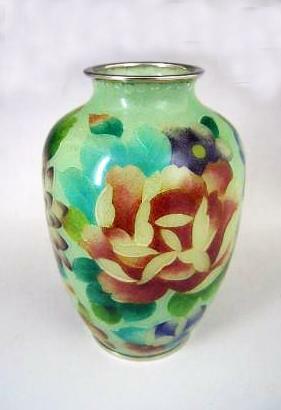 Japanese large Meiji Period spectaclar cloisonne vase by ANDO JUBEI. 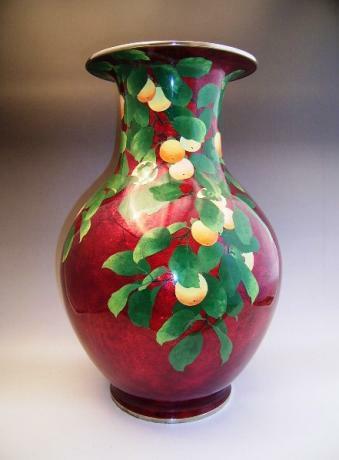 Beautifully rendered persimmon leaves and fruit, done in wonderful shades of green and orange enamels against AKASUKE, pigeon blood red enamel background. 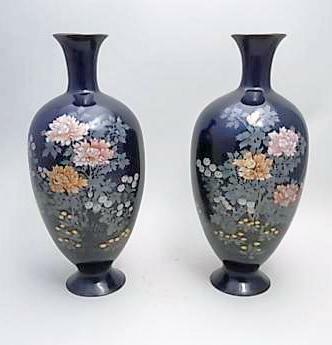 Under the AKASUKE enamel are plum blossoms and chrysanthemums carved in..
Japanese early to mid 20th century cloisonne vase by OTA HIROAKI. 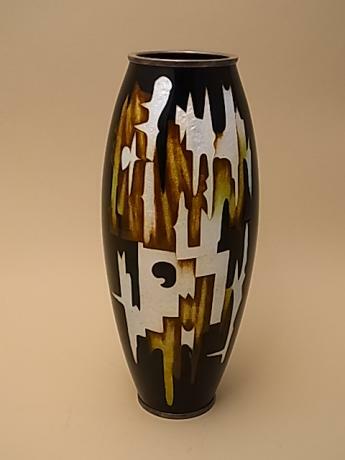 The vase has a modern abstract design done in shades of white, yellow and brown. 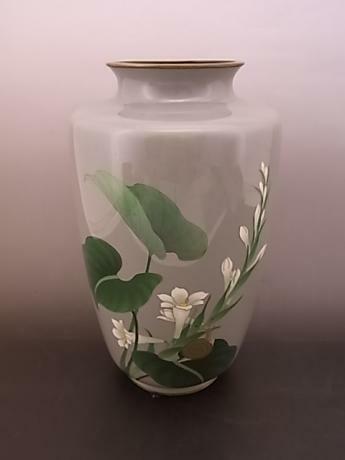 The character for HIRO is on the bottom of the vase. 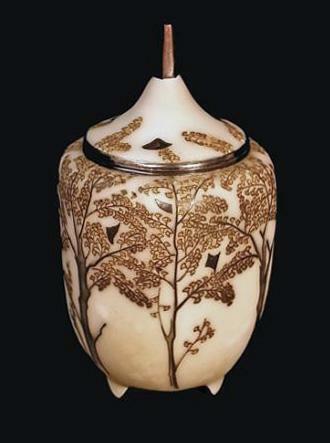 The vase has rims marked "JUNGIN" or pure silver. 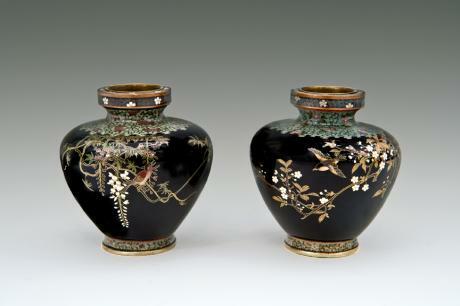 The vase comes with TOMOBAKO, or original wo..
Japanese early 20th century cloisonne vase by Ando Cloisonne Company. 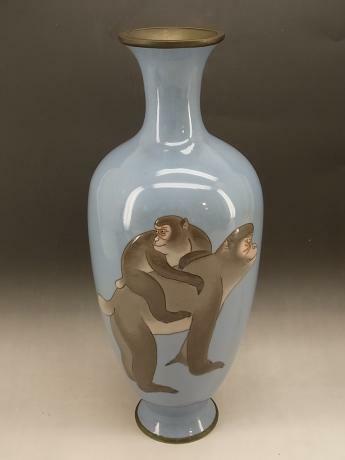 The vase is done with a blue background with 2 monkeys done in brown MORIAGE cloisonne. 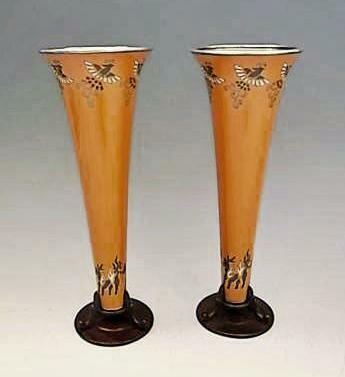 The vase has the ANDO mark on the bottom. 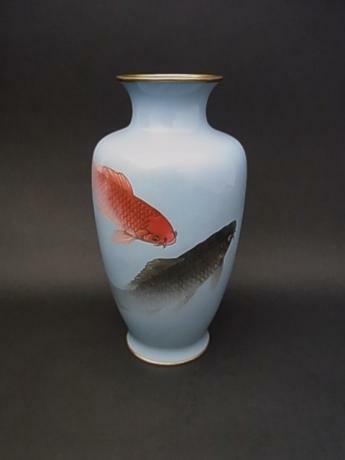 The vase comes with wooden storage box with ANDO JUBEI seal attached to bottom of lid. The vas..